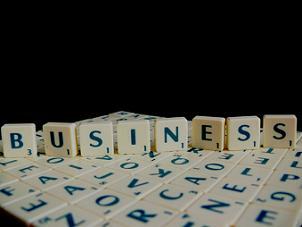 ﻿ The 10 Commandments of a Great Business Name? Like an individual's given name, a business name is an identity. Naming your business is one of the toughest parts of starting a business mainly because you'll be known under this name from the start until you, hopefully not, end your business. Your business will have to live, figuratively speaking, under this given name. A business is like a new born child. You have to give it a name. When you give it a name that doesn't exactly fit your business, it would be just like naming a kid with a wrong name too. A business name doesn't exactly make up for serious deficiency in your business operations or help you avoid selling. But a business name is everything and nothing. Getting the right business name will help distinguish you from a sea of bland competitors, provide your customers with a reason to hire you, and aid in the branding of your company. Apply these 10 commandments when choosing a name for your business. Naming your business or products is a serious matter. The name you choose can play an integral part in the marketing of your company. Your name projects your image, brand and position in the marketplace. While it might be tempting to abbreviate your business name to make communications and correspondence easier, as a small business owner, you don't have the resources and marketing muscle to educate your market on what you acronym means. Never ever use, borrow, or modify an existing famous brand name. In Elizabethtown, Kentucky, Victor Moselet used the name Victor's Secret when he opened his adult gift and lingerie shop. Victor's Secret did not remain secret when the legal department of Victoria's Secret sent a letter to Moselet claiming trademark infringement. In haste, the name was changed to Victor's Little Secret, but the change was not enough for Victoria's Secret who then filed a lawsuit. When you have developed a great business name, spend the time to determine if another business isn't using it. You can use a similar name for your business if another company uses it in an unrelated market or industry. Once you have your name, protect it by registering the business name with your country or State office. Your business name should be easy to remember and memorable. Apply these 10 commandments when naming your business and in the end you'll avoid a marketing disaster.